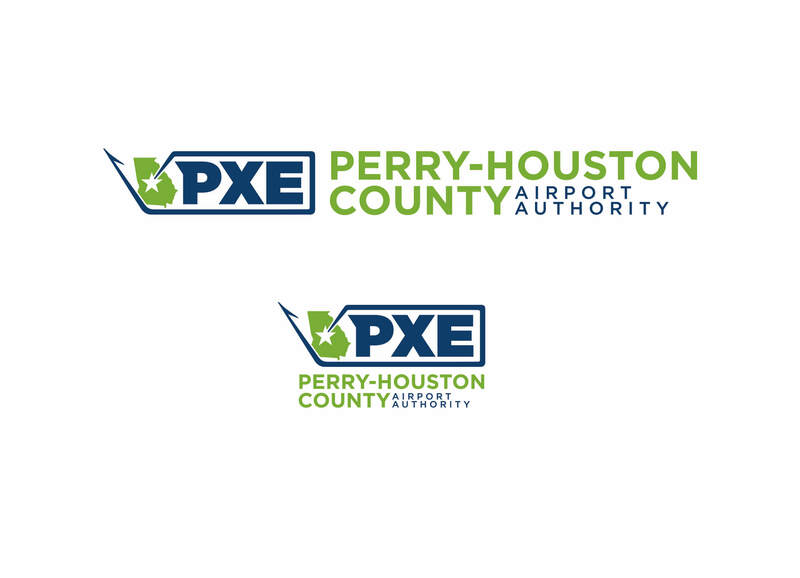 The Perry-Houston County Airport Authority, desiring to promote the airport to pilots not only as a base for their personal and corporate aircraft, but also as a convenient stopover and refueling base, and potentially as a site for aviation fly-ins and related events, realized that the airport’s previous logo/brand appeared outdated and did not adequately reflect the services the airport offers. Perry-Houston County Airport is a geographically level general aviation airport in the center of Georgia. 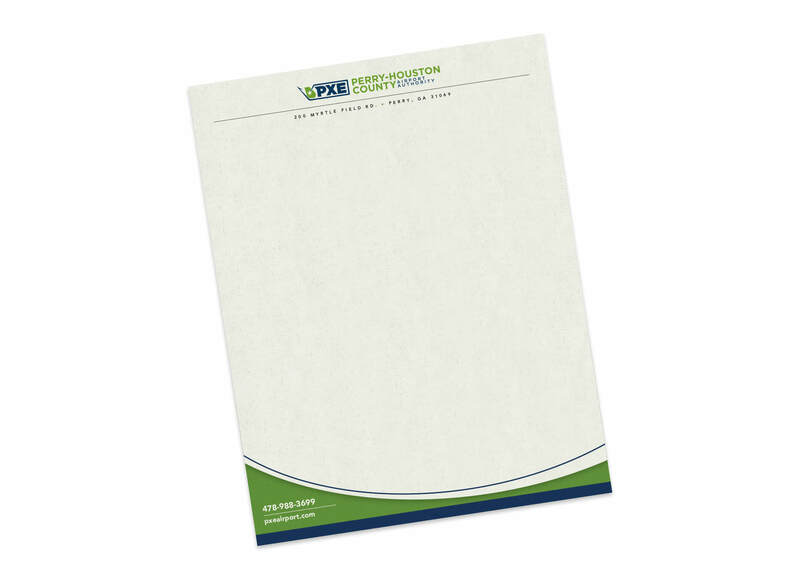 It has plenty of surrounding land and no wetlands, plus it is county-owned, so it has the most potential for growth of any general aviation airport in the Southeast. It also offers the cheapest fuel prices in the Southeast. 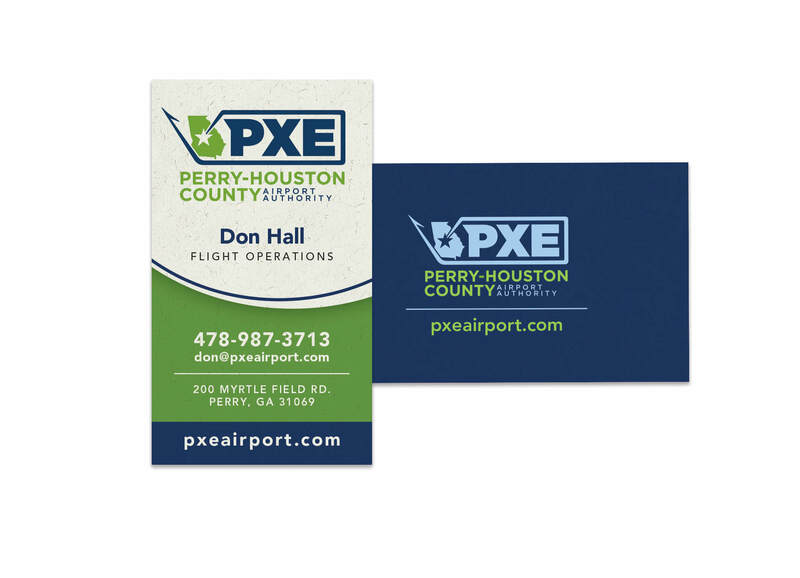 The Perry-Houston County Airport logo brand capitalizes on the airport’s location, depicting the central location and a “flightline” circling and continuing beyond the airport’s FAA identifier, PXE. 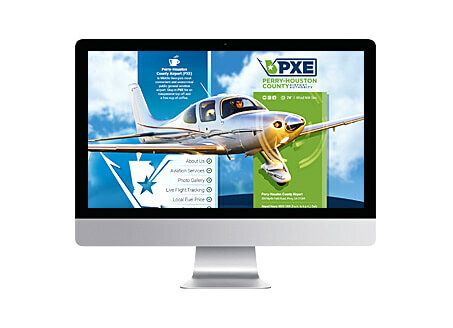 The new branding is modern, designed to appeal to pilots and aviation enthusiasts.